The new Maserati Levante provides the perfect combination of leading on-road performance and off-road capability in one premium package. This is the first SUV from the luxury Italian brand, yet it's already made a serious impression. This SUV is big and beautiful. When you look at the new Levante's sizeable frame, it’s easy to see Maserati’s genes in its decidedly sporty profile. The assertive Maserati grille still reflects the marque’s speedy performance, as do the three iconic air vents on the front wings. Slim headlights and curved lines are sleek and controlled, adding a distinct air of exclusivity. This high-class model establishes a whole new genre of SUV. Take a seat in the plush, leather bucket seats to enjoy a journey surrounded by comfort. Ergonomic front seats provide superior support regardless of road conditions. There’s a leather bench seat in the rear for up to three passengers. You can further enhance your experience by adjusting the suspension to reduce noise levels in the cabin. Smooth surfaces and high-grade materials feature throughout in a space designed by the famous Italian fashion house of Ermenegildo Zegna. Personalise the space with premium wood trims, platinum-effect metals and hand-stitched detailing. This is a robust SUV that refuses to compromise on style. Expect nothing less than top performance in the new Maserati Levante. This model’s bold size certainly doesn’t slow it down. It’s a fast and responsive SUV that knows how to perform under pressure. An energetic, efficient 3.0-litre V6 diesel engine is available. It hits 60mph in under seven seconds. It also produces relatively low CO 2 emissions of 189g/km. There’s also an innovative 3.0-litre twin-turbo V6 petrol unit, which also delivers high performance, lowered fuel consumption and reduced CO 2 emissions. The new Levante’s advanced safety features come in the form of six dual-stage airbags for all-round coverage; active headrests for enhanced protection; and a tyre-pressure monitoring system to maximise performance and efficiency. The model also benefits from adaptive cruise control, blind spot alert and lane departure warning for optimum driver control.  Adaptive cruise control also enhances the driver’s experience on long journeys. The elegant dashboard houses a cutting-edge 8.4-inch infotainment screen for effortless control of systems – including climate control, smartphone connectivity and satellite navigation. The option of premium Bowers & Wilkins or Harman Kardon speakers ensure crystal-clear sound. The Maserati Levante is available to order from Motorline Maserati in Maidstone. You can take it for a test drive by booking an appointment at your local dealership. Complete our online form or call us to arrange a convenient date and time. We look forward to welcoming you soon. The 2018 Maserati. The Maserati of SUVs. Maserati Levante. Features and options.